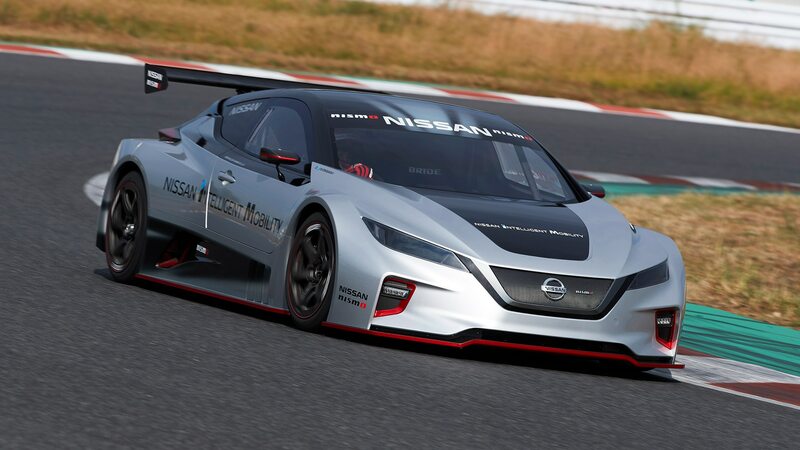 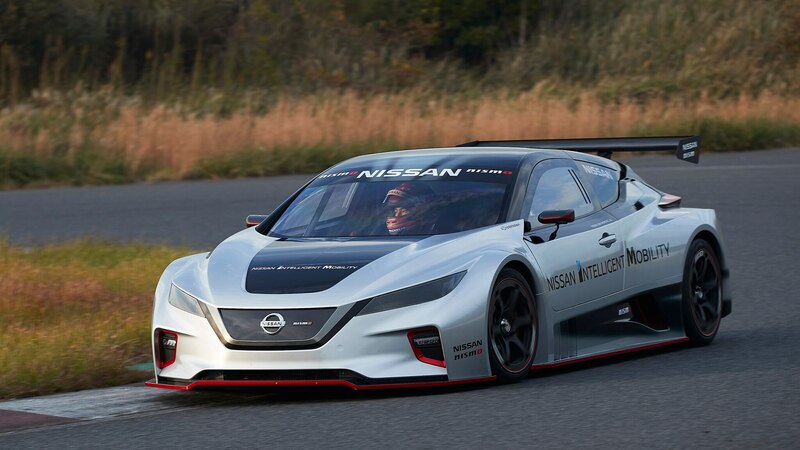 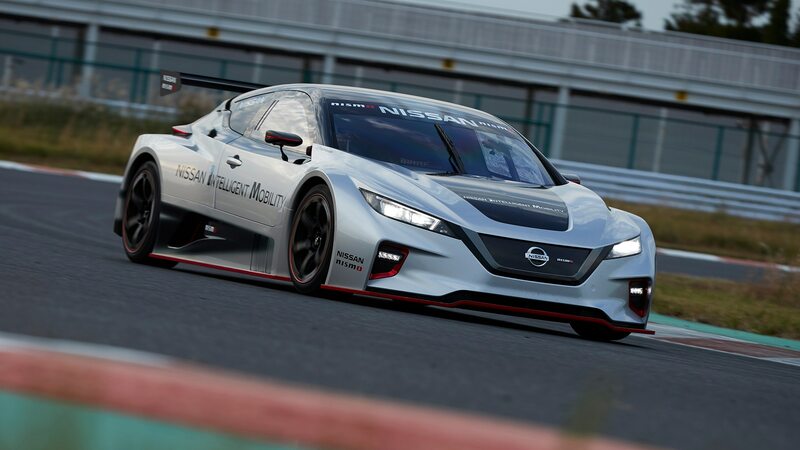 You might remember the first Nissan Leaf NISMO RC racer from back in 2011—now there’s a new version that its maker claims is more than twice as powerful. 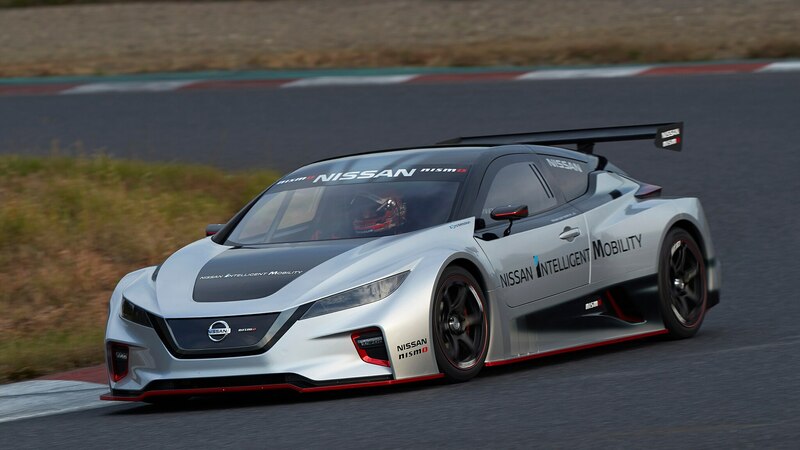 Revealed in Tokyo this week, the new Leaf NISMO RC uses two electric motors to power all four wheels. 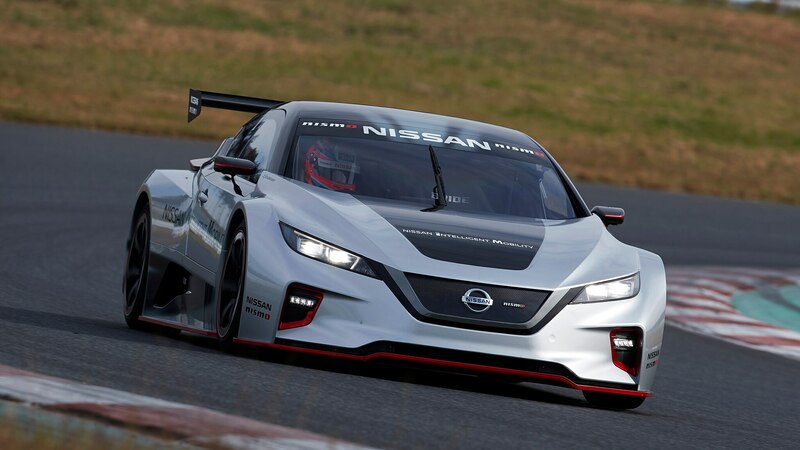 The body has been modified for better aerodynamic performance—and better aesthetic performance, too, we might add—including aggressive fascias, flared rocker panels, and a roofline now nearly a foot lower than a regular Leaf’s. 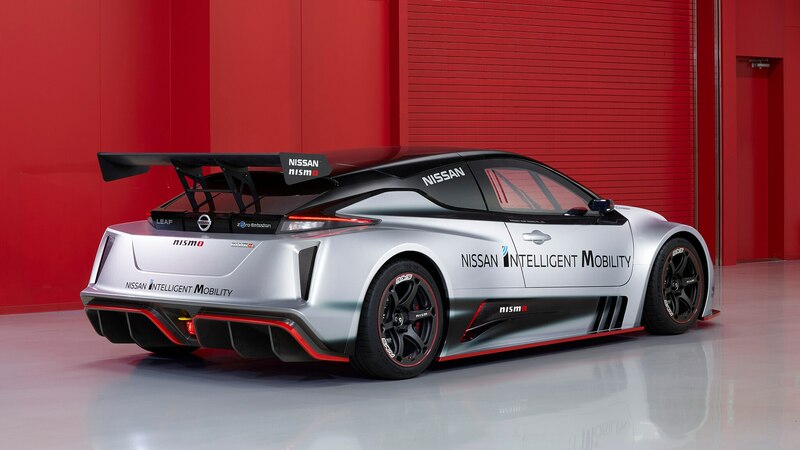 And, of course, there’s the massive wing bolted to the hatch to provide downforce. 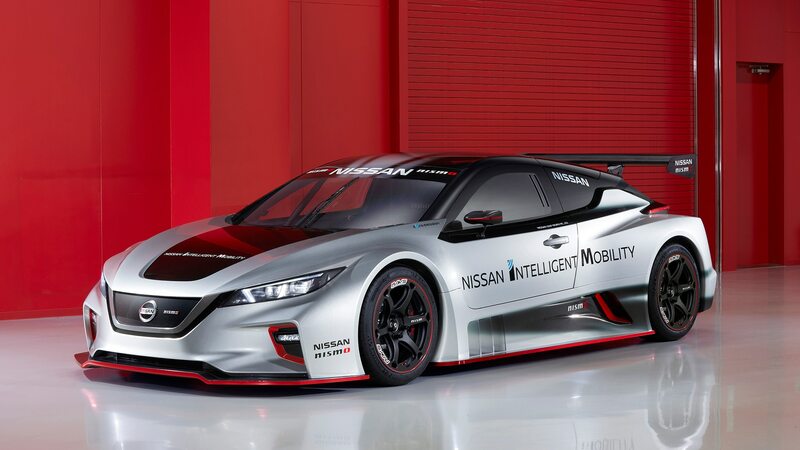 Two 161-hp motors combine to provide total combined output of 322 horses and 472 lb-ft of torque. 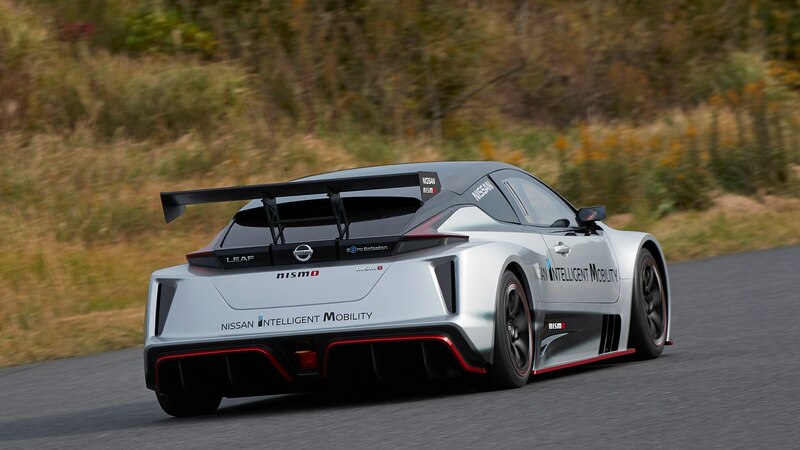 With carbon-fiber body panels and other lightweight components, Nissan says the car weighs roughly 2,700 pounds—about 700 fewer than the road car. 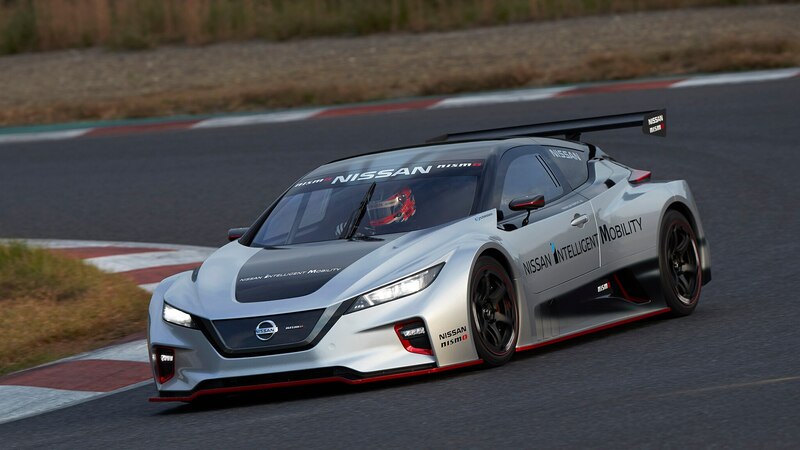 That helps the Leaf NISMO RC to launch from zero to 60 mph in a claimed 3.4 seconds, making it 50 percent quicker than its predecessor. 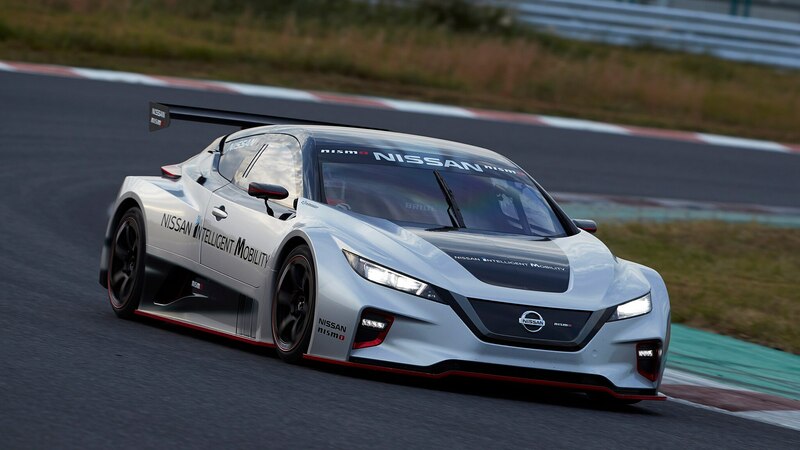 The car also features torque vectoring on each axle, with the ability to send output to the wheel that has the most grip. 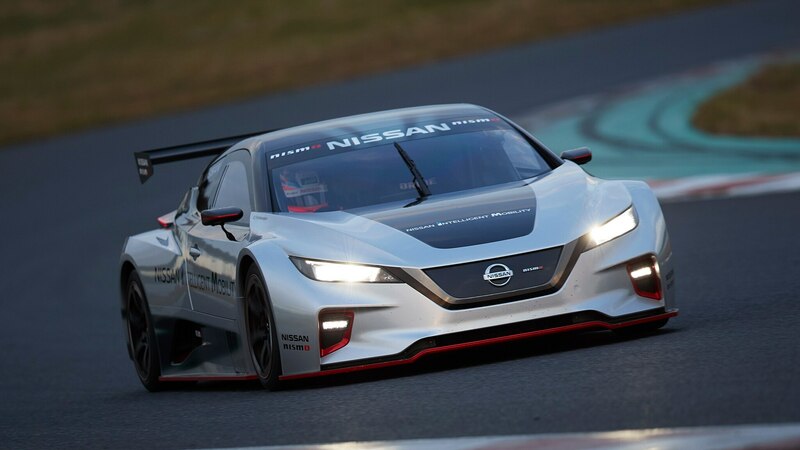 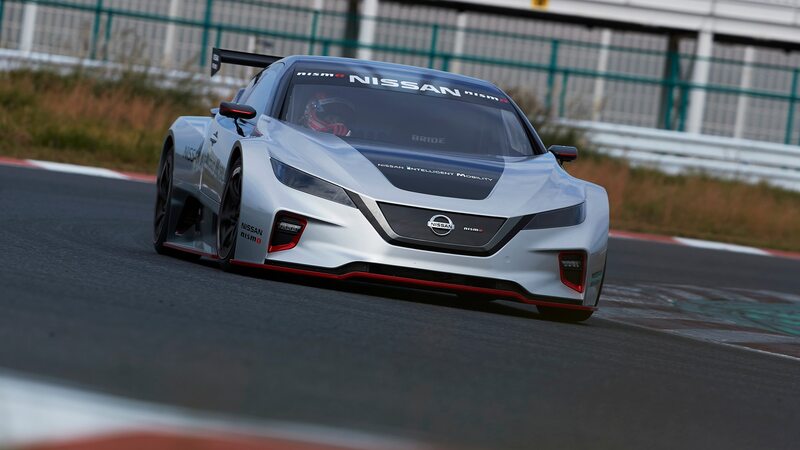 As before, the new Leaf NISMO RC is more than a one-off concept, as Nissan says it plans to build six examples and send them to various events around the world. 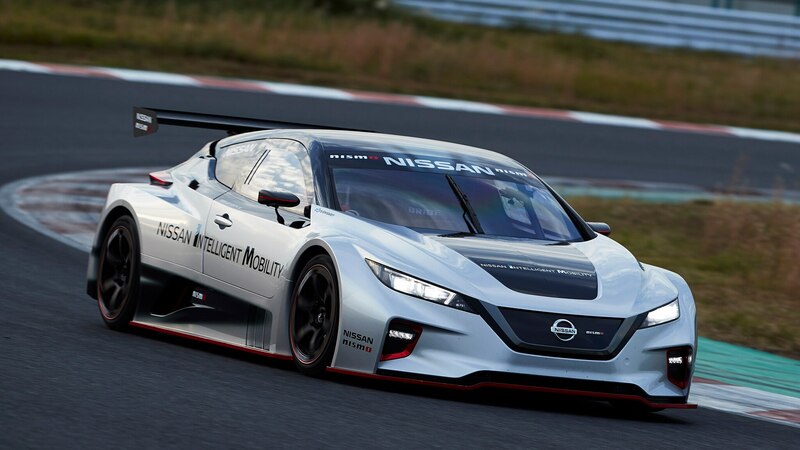 It’s almost as affordable as the base Tesla Model 3. 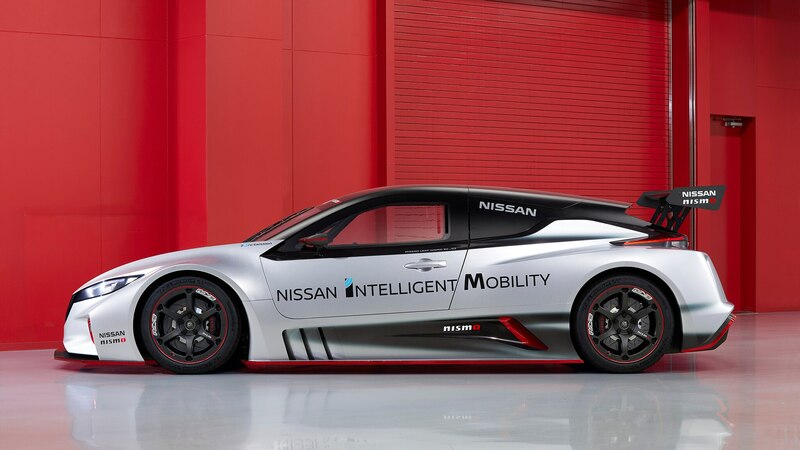 The Nissan Leaf Plus Has More Power and Range, but Is It More Compelling? 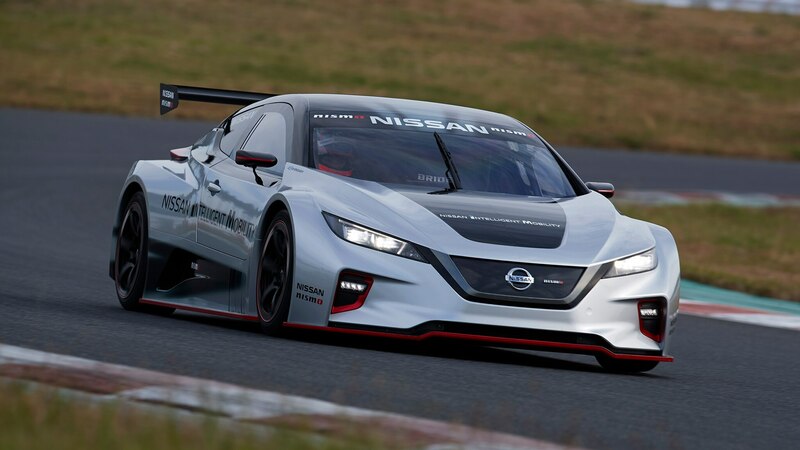 We head to San Diego to find out how the new version of Nissan’s EV stacks up. 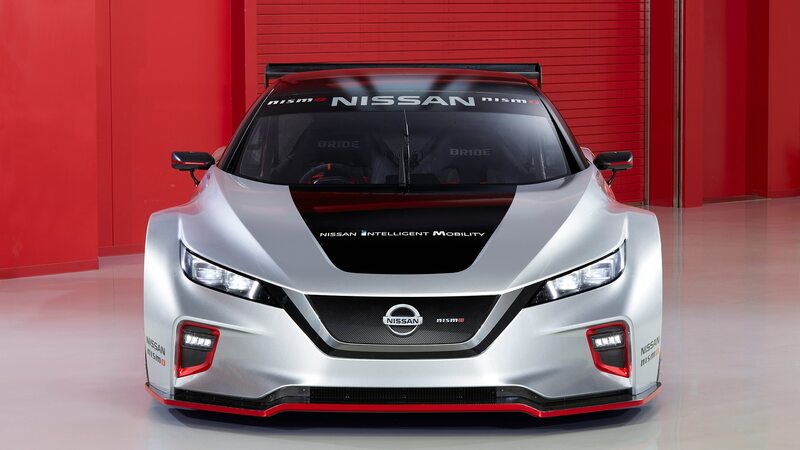 An optional larger battery pack ups the Leaf’s range to near—but not past—Bolt territory.